Looking for a last-minute Halloween costume, on a budget? 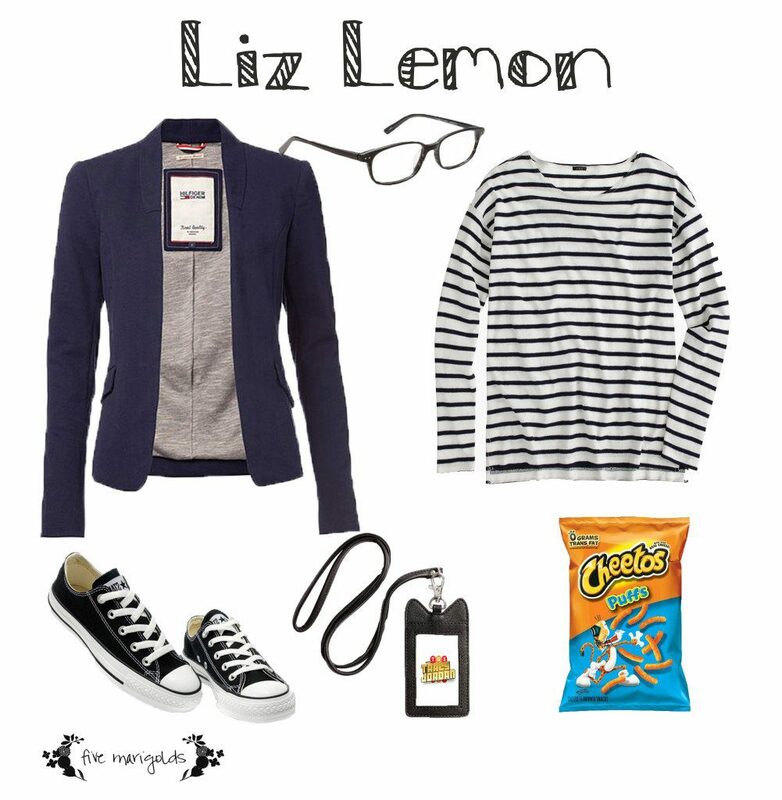 Shop your closet and go as Liz Lemon of 30 Rock! Who cares that the show ended two years ago? Tina Fey is always in style. Plus, there are cheese puffs involved. This one came a little naturally to me – I often get comments that I remind people of Tina Fey when I wear my glasses. Having spent half my life in corporate, I pretty much already have all the makings of a Liz Lemon wardrobe (for better or worse), but you can shop the look below. Looking for more last minute and free Halloween Costumes? 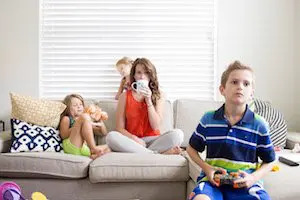 Check out my round-ups, here and here. 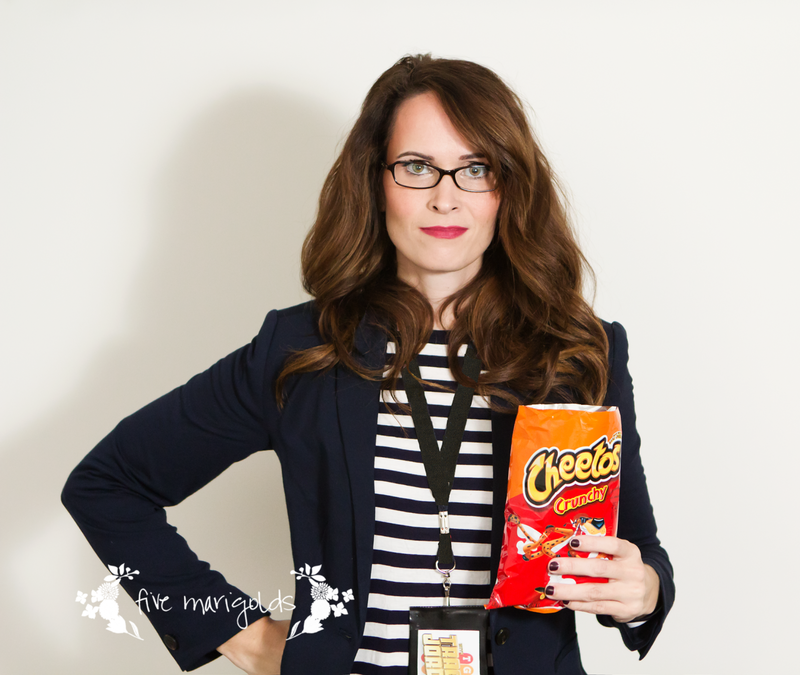 Confession: I had a bag of Cheese Puffs for this costume…but I ate them before I could take the picture. I am Liz Lemon.